Today’s wine offers us something we haven’t seen in these 12 years of showcasing the world’s best wines… A wine made from both Napa County and Sonoma County grapes! 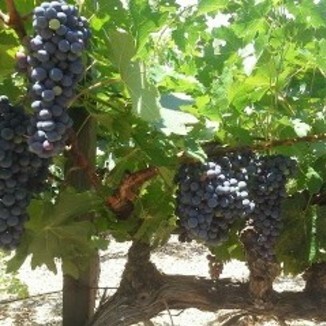 This crowd-pleasing Zin has something for everyone, from its broad aromas and dense, delicious flavors. This one is guaranteed to delight. In the glass is a dense Zinfandel with a core of dark garnet with a maroon hue at the meniscus. Sandalwood, hibiscus, gingerbread, wild strawberry, and fruitcake aromas fill your senses as you inhale. Taking a sip, you’re greeted with the classic Zinfandel array of blackberries, black cherry, and bramble with some nice mellow aging flavors such as leather and tobacco. Sure to be a crowd-pleaser with tannin that concentrates at the front of the palate while the fruit expands gloriously towards the back for an extended finish. Great for something satiating and spicy. Try it with a Louisiana hot link on a Racer 5 bun piled high with sauerkraut and topped with hot mustard. Earlier this year, our Operatives made Michael-Scott an instant favorite. 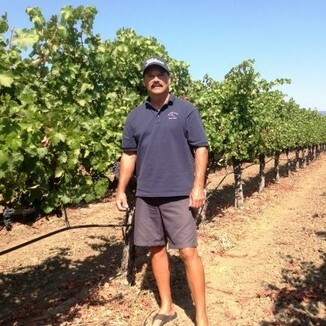 Their Cabernet was one of the best 2012 vintage Cabs we’d tried. 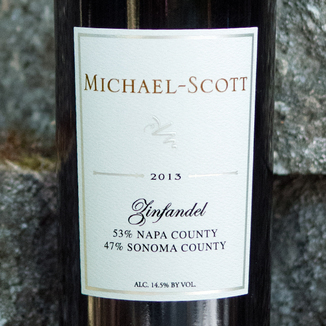 Today’s best of both worlds Zinfandel brings the juiciness of a Sonoma County wine, melded with the concentration and backbone of a Napa wine. 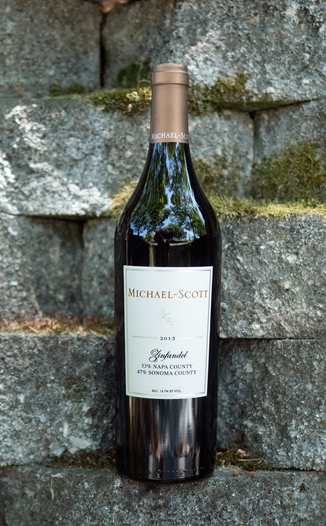 We’re thrilled to be showing another great Michael-Scott wine - which you are certain to enjoy! Core of dark garnet with a maroon hue at the meniscus. Sandalwood, hibiscus, gingerbread, wild strawberry, and fruitcake. Blackberries, black cherry, bramble, leather, and tobacco. Tannin concentrates at the front of the palate while the fruit expands gloriously towards the back for an extended finish. Louisiana hot link on a Racer 5 bun piled high with sauerkraut and topped with hot mustard.